If your work involves speaking in front of people, there will be times when you suffer from vocal strain. This common condition happens frequently amongst teachers, instructors and other professionals who regularly project their voices. The good news is that there’s a solution: The VoiceAmp VA300–. The lightweight, wearable speech device has been designed to deliver amplified speech for people in situations where they must use their voice repetitively. 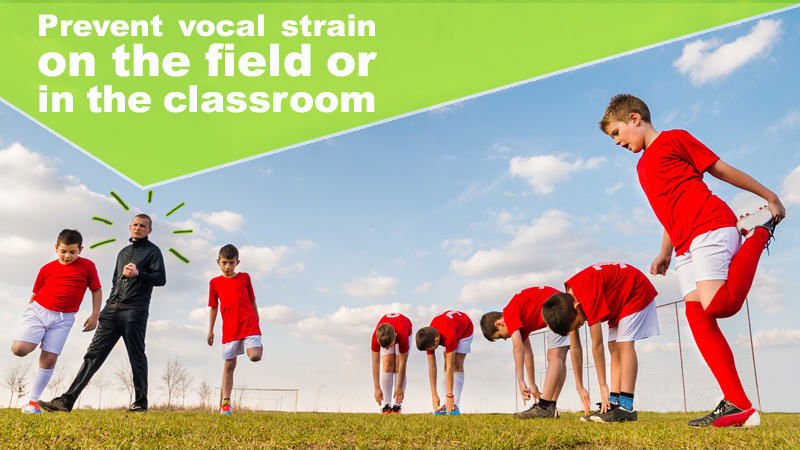 “Teachers, coaches and instructors who use their voices often each day find that their voices take enormous strain,” says VoiceAmp CEO Alan Falck. People often overuse their voices due to occupation, lifestyle or as a result of illness or injury. If gone unchecked, it can result in long-term or permanent damage. Overuse not only affects the speaker; it also affects their work. “For example, if a teacher struggles, you can be assured that their students are also struggling. Not only because they are straining to hear, but because they are also distracted by the teacher’s stress,” explains Falck. With a background in developing technological solutions for speech fluency, Falck identified a need to support those who struggle with voice strain in their careers. He designed the VA300 as an easy-to-use device that delivers an effective solution at a competitive price. The device comes with a headset microphone which allows soft speech to be collected and amplified. Using non-screech technology, the VA300 reduces aggravated feedback to deliver clear, audible sounds. Wearable using a waist or neck band, the device can project up to 4,000 square meters and is usable indoors and outdoors. A rechargeable battery ensures it can provide full support throughout the busy working day. VoiceAmp VA300 is available online for purchase. Orders are dispatched within 24-hours and should be delivered within 48-hours. Copyright © 2019 VoiceAmp (Pty) Ltd, All Rights Reserved.